A transparent physical barrier with 24/7 active alarm systems. 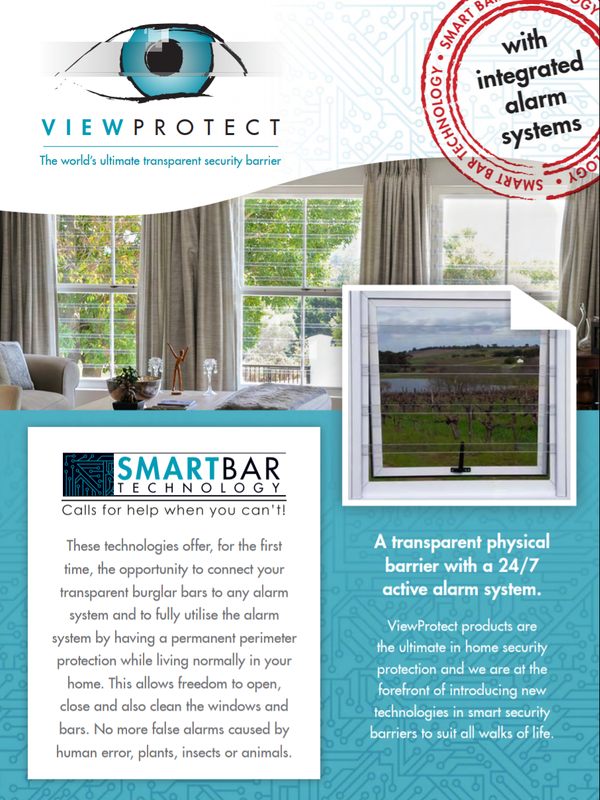 ViewProtect products are the ultimate in home security protection and we are at the forefront of introducing new technologies in smart security barriers to suit all walks of life. Presenting you the opportunity to connect your transparent bars to any alarm systen and to fully utilise the alarm while living in your home. No more false alarms cause by human error, plants, insects or animal. 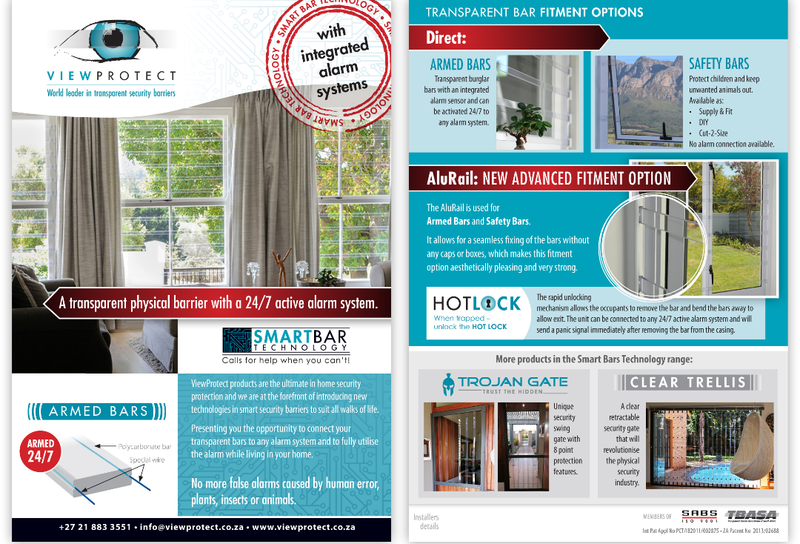 Armed Bars - Transparent burglar bars with an integrated alarm sensor and can be activated 24/7 to any alarm system. Safety Bars - Protect children and keep unwanted animals out. The AluRail is used for armed bars and safety bars. It allows for a seamless fixing of the bars without any caps or boxes. which makes this fitment option aesthetically pleasing and very strong. Hot Lock - The rapid unlocking mechanism allows the occupants to remove the bar and bend the bars away to allow exit. The unit can be connected to any 24/7 active alarm system ad will send a panic signal immediately after removing the bare from the casing. TROJAN GATE - Unique security swing gate with 8 point protection features. CLEAR TRELLIS - A clear retractable security gate that will revolutionise the physical security industry. Contact Eric Fraser our certified installer to install yours today! 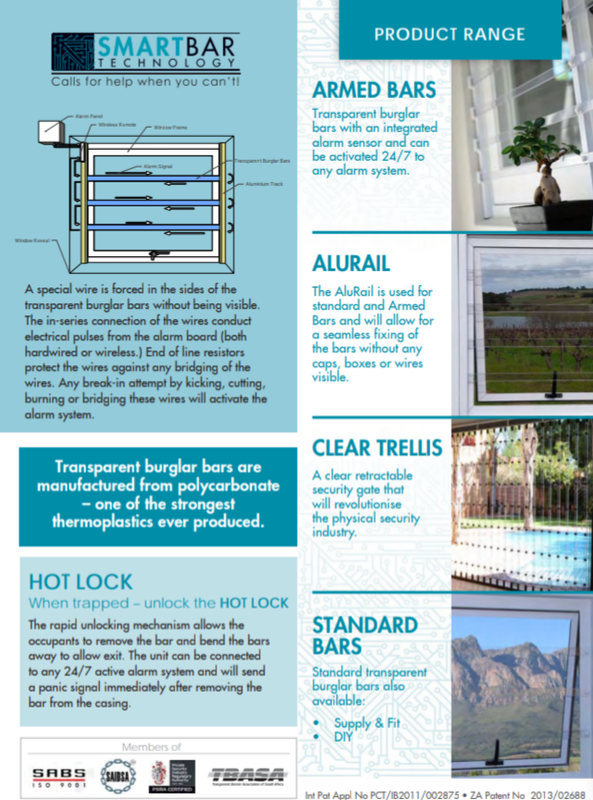 DEFENDoor transparent burglar bars are a see-through safety barrier, that not only looks smart but actually protects what you love. TH Painters specializes in the professional painting of residential and commercial buildings throughout the Overberg and Cape Peninsula. I’m thrilled to be going on a botox masterclass in Pretoria on Tuesday (9 April 2019). Follow the fuel from Arrive to Burn. DEFENDoor is a reputable company with a national footprint that has been in business for over 20 years. Five reasons why you should choose AllSolar Overberg.